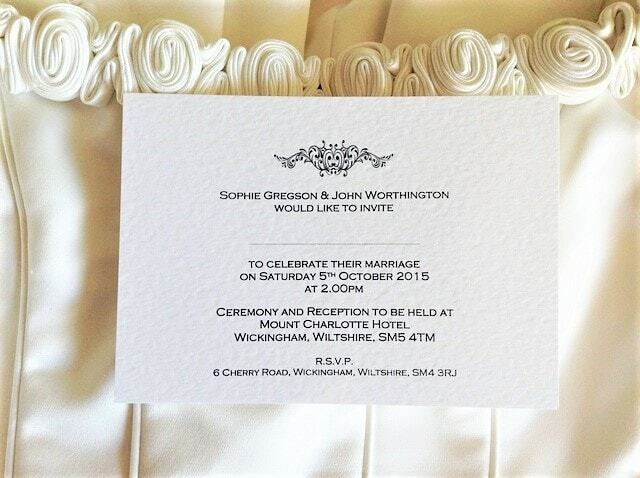 Motif Postcard Wedding Invitations are supplied on a thick heavy weight (270 gsm) hammered card and are available in white or ivory. 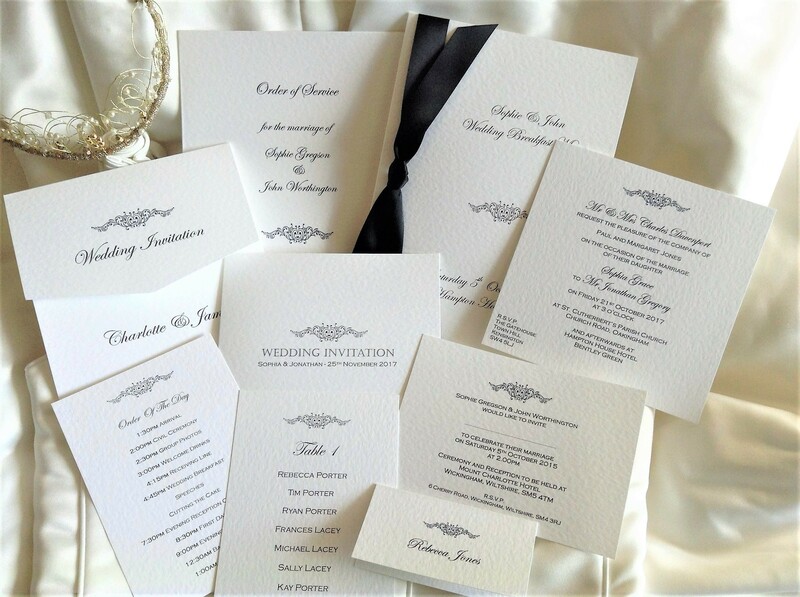 These elegant, attractive invitations are the most affordable wedding invitations available in our Motif Wedding Stationery Range. Wedding invitations are supplied with a matching hammered envelope and we can print your guests names free of charge (this is optional). Alternatively we can print a line for you to handwrite your guests names. Motif postcard wedding invitations are a simple classy design. There are no hidden costs, the unit price is the same whatever quantity you wish to order. Sizing is A6 (14.5cm x 10.5cm).